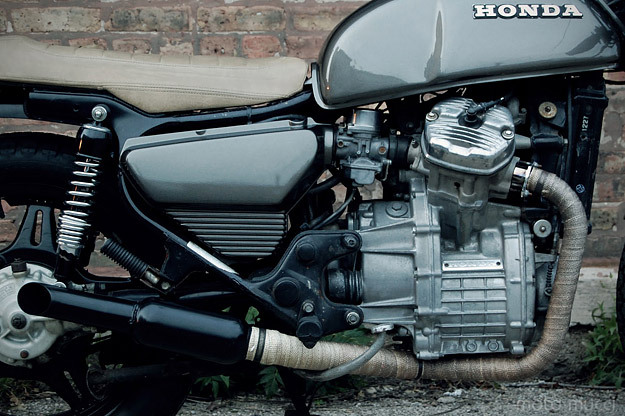 Five years ago, I’d never have picked the Honda CX500 as a target for custom bike builders. But it’s now rapidly finding favor, being a cheap and reliable platform that can be transformed into a slinky, contemporary custom—as the Wrenchmonkees discovered six months ago with their own CX500. This machine belongs to Dave Mucci, who got hooked on motorcycles three years ago. 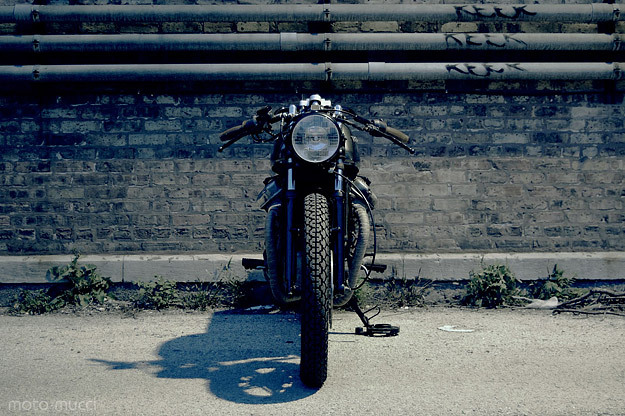 “I studied industrial design in Detroit, and in my senior year, I took a motorcycle design class. The instructor was a phenomenal inspiration. He raced time trials in his day, and has a collection of over 60 vintage motorcycles. That class got me hooked: I’ve always been into vintage cars, but since that semester I’ve wanted a vintage motorcycle.” So in March, Dave got himself a CX500. 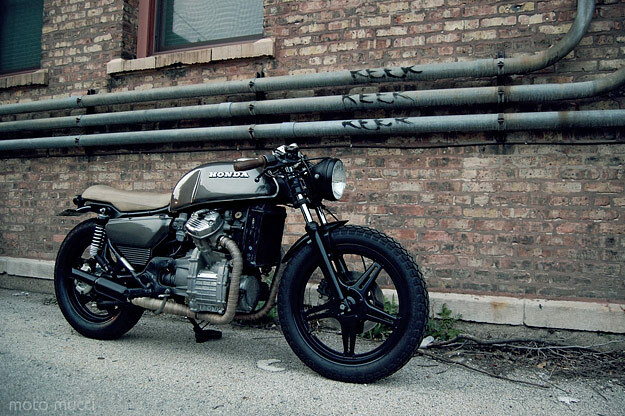 “It was a 1978 CX500 Standard from a guy in Michigan. I bought it in running order, but immediately tore it down.” Mucci started sketching concepts on his blog: “I wanted it to be two-up, a relatively inexpensive build, and not too pretty. 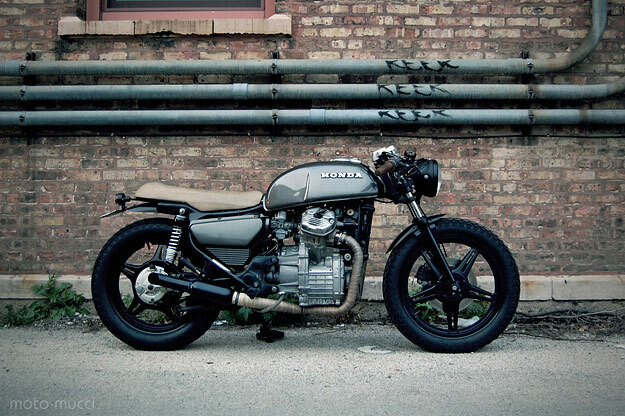 Chicago has a way of destroying everything you love that’s shiny and clean.” For Mucci it was a crash course in motorcycle mechanics, but he found the bike much easier to work on than the cars he was used to. If this is Mucci’s first attempt at a custom, I can’t wait to see what he comes up with next.